In my previous blogs we discussed the concepts of “frequency” and “intent”. “Frequency” is the rate at which an object vibrated and is also a way of measuring sound. “Intent” is the energy behind any created sound. 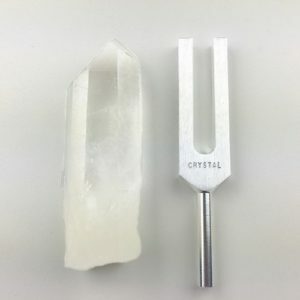 Together, these two elements create how a sound may be used–it’s effect for healing, transformation or whatever. In other blogs we discussed the concept that we are all unique vibratory beings and that the frequency (or frequencies) for one individual would be very different than the frequencies for another individual. I would now like to return to return to the concept of “Frequency + Intent = Healing”. Another aspect of this equation and one which I particularly like is this: “Vocalization” + “Visualization” = “Manifestation”. This may be viewed as a different way of understanding the first equation. It is essentially the same. You may substitute the word “Frequency” for “Vocalization, “Intent” for “Visualization” and “Healing” for Manifestation. This formula does have broader aspects than that purely used for healing and thus I bring it to your attention. When I first discovered this equation through contemplation of the creation myth as described in book known as “The Old Testament”, I thought I was quite clever. In the Old Testament, the creator being thought of an object (“Visualized” it) then said its name (“Vocalized” it) and brought it into being (“Manifested” it). “And the Lord said ‘Let there be light!'”. After I had created this equation, I realized that it is an inherent part of the magical and sacred traditions throughout the planet and not very original at all. It was, however, a nice consolidation of ancient wisdom. In ancient Egypt for example, the God Thot (another aspect of the magical “Hermes” would think of an object, say the name for the object and bring it into being. In Tibet (and now, unfortunately, due to their exodus, India), when Tibetan Monks chant their “mantras“, they are not only vocalizing a particular sound (which, incidentally is very much like a sonic formula for the vibrational frequency of a deity or a particular ability), they are also doing intense visualizations. These monks are masters at visualization and they have spent many hours each day building “mandalas” which are complex thought forms. When coupled with their chanting, they are able to produce amazing manifestations of the various deities they are working with. They are also, of course, able to produce seeming “miracles” by using this process of “Vocalization” + “Visualization”.